I thought I had biscuit-making all sewn up. 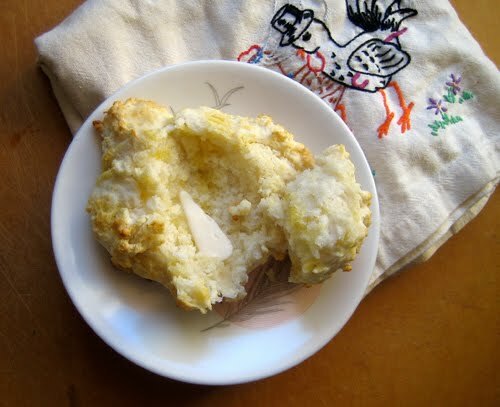 And then my friend came from North Carolina with a bag of biscuit mix (Just Add Buttermilk!) and my world view changed. You can read just how fluff*tastic they were along with why Southern flour is better (along with a few tips & tricks from other bloggers) in my latest post for ReadyMade magazine. Over at Poppytalk, I talk bundt and share a citrus yogurt cake recipe made with my stash of Seville Oranges. It’s a super easy cake to make that looks as beautiful and bright as it tastes. Mmmm. ok then, I need some of this. Citrus yogurt cake sounds delicious. I'm going to head over and check it out! Lo, my mind isn’t exactly changed! I loved the fluffiness but wasn’t keen on the weird chemical flavours. Hope you enjoyed the read! Haha, I hope you enjoy the biscuits! Thanks Joanne, it’s a good one. 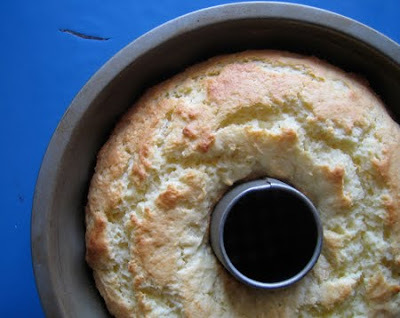 I made the cirtus yogurt cake last week and it was amazing! No Seville oranges, but substituted lemons, and used one Meyer lemon and one regular lemon for the glaze … it was moist and tender and lemony all in one! May try it with blood oranges but I feel that it would lose that tartness, which is fantastic … thoughts? Eleana, I think it would be really good with blood oranges and would give the batter a pink hue (though that would disappear when baked). I would reduce some of the sugar, though, otherwise you’d end up with a too-sweet cake. So glad you loved this cake. It’s a goodie! Made the citrus yogurt cake last weekend with meyer lemons and it rocked my world!! thanks so much for the inspiration! Hooray, so glad you enjoyed the cake, Serafina. I’ll bet it tasted like spring.